Long renowned for exceptional service and flawless French cuisine, this much-loved restaurant has been redesigned; elevating its interiors and terraces to a level of luxe befitting its reputation. 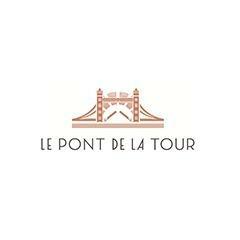 Overlooking the river Thames and situated by Tower Bridge, Le Pont de la Tour is more than just a restaurant – with a bar, food store, wine merchant and bakery – it is the original Gastrodome.<br><br>We are currently looking for an extraordinary Floor Manager, who will have exemplary service standards, charm, elegance, and warmth to engage both customers and employees.<br><br>We are looking for highly enthusiastic candidates who are open to new challenges, friendly, welcoming and ready to grow with the business. You will be looking after and motivating the entire team to achieve the best possible results and deliver an unforgettable experience to the guests.<br><br>D&D London is a collection of restaurants as individual as you are. Some of the benefits of working for us include: <br><br>•	Substantial career progression<br>•	Personal development and training - including the opportunity to complete the industry-leading D&D Diploma<br>•	28 days holiday that increases with length of service <br>•	Free meals on duty <br>•	40% discount in all D&D London restaurants<br><br>If you are interested in discussing the Floor Manager role further, please get in touch with us without delay!